Oak forest at the foot of the Cerros Tararia in Costa Rica at 2,700 m elevation. These are large trees growing to 40 m in height and heavily festooned in bromeliads and liverworts. 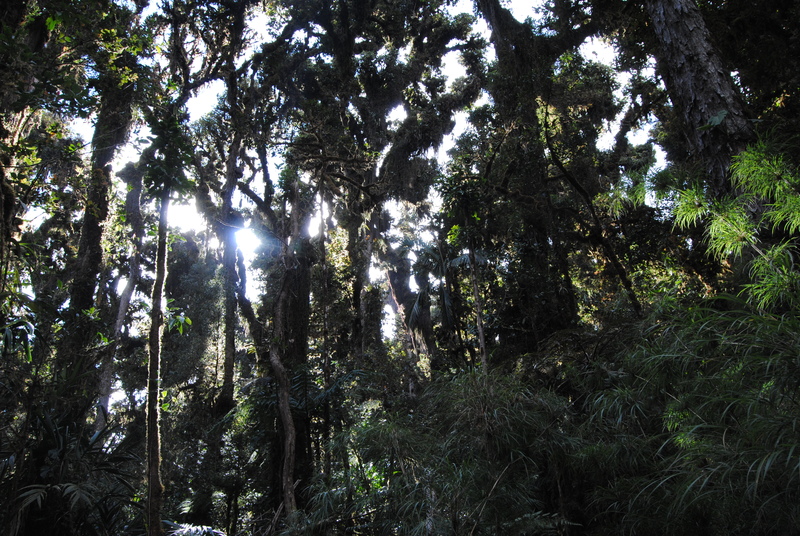 I first came these majestic and mysterious forests in 2003 whilst collecting on the summit of Cerro Fabrega in Panama. We had hiked through montane tropical forest and cloud forest and suddenly we came into a forest consisting almost only of massive oak trees, covered in dark maroon liverworts and bright red bromeliads. It was a magical and unexpected experience. I had no idea that there were oak forests in the wet tropics and whilst I had seen small oak trees growing in semideciduous forests in Belize and El Salvador they could not be said to constitute a forest. 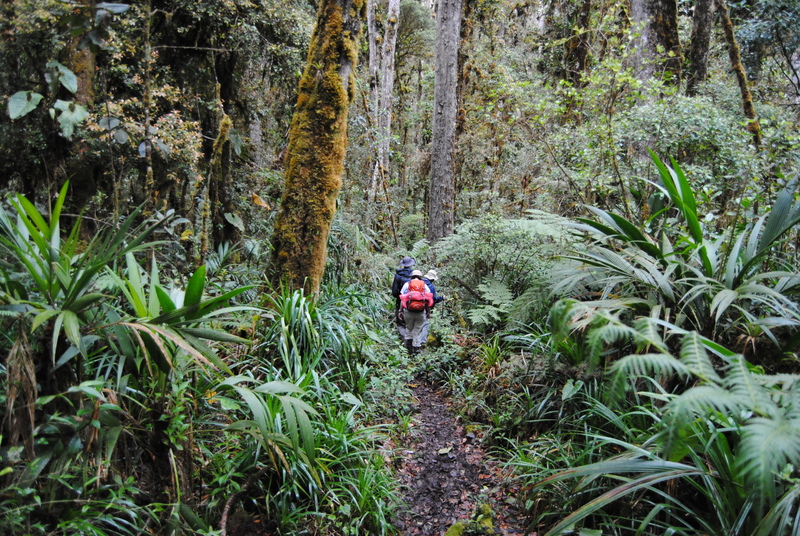 Later on subsequent expeditions we came across these forests at between 1,900 and 3,100 m in Costa Rica and Panama, always characterised by tall trees festooned with epiphytes and very quiet. Indeed an oak forested portion of the La Amistad World Heritage site is known as the ‘Valley of Silence’. View of the forest understory in the ‘Valle de Silencio’ at an elevation of 2,800 botanists providing a sense of scale. What surprised me about these forests was their stature growing at such high altitudes, well above the stunted and gnarled cloud forests below them. 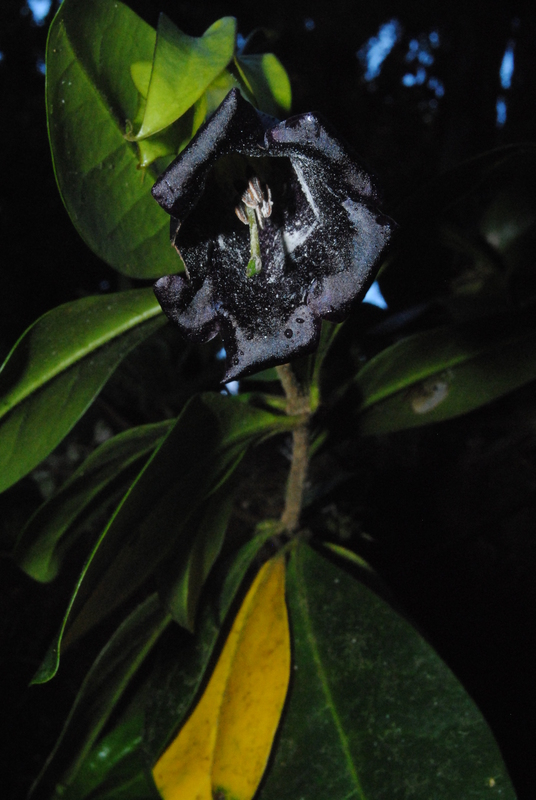 Secondly, they have a rich diversity of plants associated with them, we documented over 500 species. Thirdly, in Latin America, they are restricted to mountains in Costa Rica, Panama and Colombia. They are also relatively unknown, both amongst botanists, ecologists and conservationists. Having done some more work analysing the patterns of species in these forests with Nadia Bystriakova and discussions with Dutch ecologist Maarten Kappelle we are planning a research programme on these high elevation oak forests. One which will seek to document and establish their importance as a source of plant diversity, both for conservation and science but also to evaluate the threats they experience across their range.